Microsoft pulled a very weird move of announcing the Zune HD yesterday while scheduling the release date two seasons (summer, then fall) away. But there's a reason: the E3 gaming conference is next week. OLED 3.3-inch multitouch screen at a 480x272 resolution, web browser (IE-based), Xbox Live integration (Xbox will get Zune's videos instead of their own separate version), HD radio receiver, 720p TV output and streaming music directly from the Zune store via Wi-Fi. 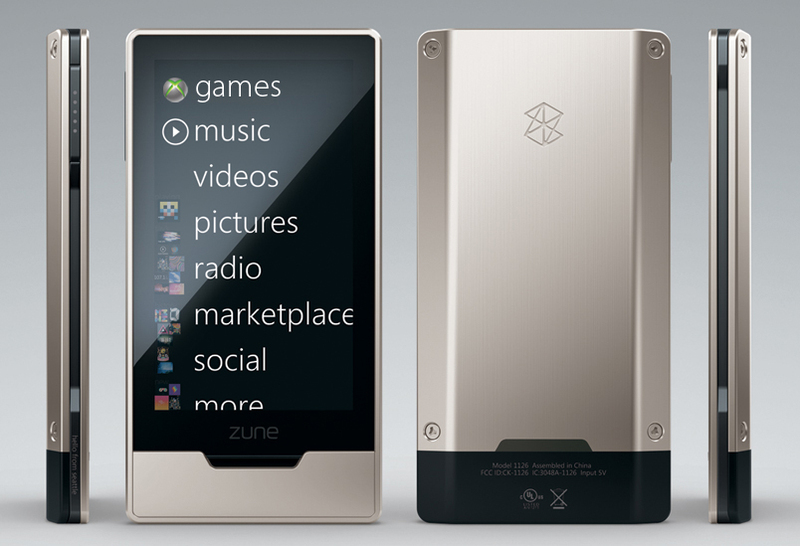 • Will the Xbox platform also get access to the Zune music library? THAT would be a huge coup for the Xbox platform over the PS3, being able to stream music on the fly just like the Zune HD. • How much will this supposed Xbox music support cost? Our guess is that it'll be free, if you have the unlimited-rentals Zune Pass, but you never know. • Will this go the other way? Will you be able to access Xbox Live's game trailers and videos on your Zune? Will the two repositories merge? • How about Live Anywhere, the damn mobile phone/mobile device Xbox Live access that was first shown off in 2006 that we're still waiting for. Will Zune HD be the device that FINALLY gets this? • Xbox games on the Zune? Is this what Microsoft is waiting until E3 to announce? That the Zune will be getting not just games, but Xbox-quality games? Xbox Live Arcade games? They'd have to be retooled for the touchscreen Zune controls, sure, but slapping the Xbox brand on it will sell some Zunes. • How much will it cost? The OLED touchscreen probably isn't cheap, and if that supposed Xbox game integration is true, that means costly hardware to back it up. • Where's the Zune Phone? Even if everything we surmised above is true, there's still one caveat: it's not a phone. People only have so many pockets, so it doesn't matter how great a mobile device is—if it's not their phone, which must be taken around everywhere, it'll get left behind much of the time. Our guess is that most of the unknowns are due to the fact that Microsoft is tying the two brands together in functionality and juggling their schedule around that. This will make their E3 announcements all the more interesting, but may sacrifice a little interest in the long haul 'til Zune HD's fall release. So if you're a Zune fan, you'll want to pay attention to E3 next week.